Don't hate him because he's beautiful when annoying is a perfectly viable option. Details is ready to defend the easily hate-able. 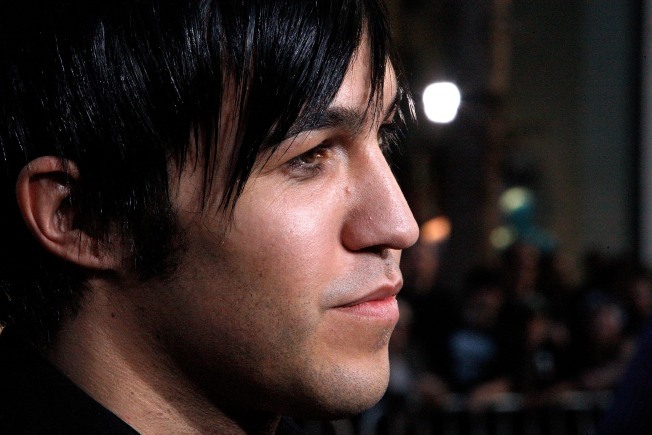 This week they come to the defense of Fall Out Boy emoter in chief Pete Wentz. They ask "Is It Time to Stop Hating Pete Wentz? "—related stories (not kidding): "Josh Groban Is Not a Tool," and "Oasis Aren't Done Just Yet"—and then proceed to provide an elaborate and detailed catalog of all the reasons he is worthy of disdain. Actually, even before writer Aaron Gell racks up the charges against Wentz ("Count 1: Pete Wentz is a douchebag"; "Count 3: He can't play bass"; "Count 4: He took a a picture of his Johnson") the case is made. For example the fact that he brought Bronx Mowgli Wentz into this world, or, as Gell so accurately puts it, his NYC (and now Chicago) bar, Angels & Kings, is "the would-be Planet Hollywood for the emo crowd." It's a bit more fun to try and defend someone as easy to hate to Wentz, but in the end, is it really worth it? After about 2,000 words and a meeting in Barcelona, Gell allows Wentz to conclude that as long as he's not Hitler, he's better than the impression people have of him.